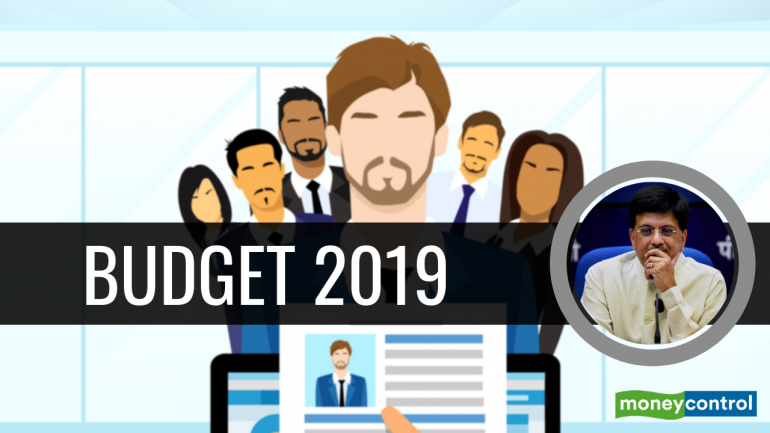 When a government is in the middle of its term, a full Union Budget is presented well before the beginning of the next financial year (April 1) to seek approvals for the coming year. But election years present a unique challenge because if a full budget is presented in February, there’s usually a limited window of time available to seek Parliamentary approvals and put these proposals into action, before the Parliament is dissolved. This is typically the situation where the government presents only an Interim Budget or seeks a vote on account. A vote on account or interim budget is typically followed by a full budget by the next elected government, post-elections. Breaking from tradition, the Finance Minister brought in an unprecedented series of direct tax changes in the Interim Budget 2019. These sweeping tax changes intend to benefit the middle class. Primarily, it proposes to benefit the rural sector (addressing the agrarian crisis), middle class and the housing sector. The thrust on Digital India also continues through technology push. The Finance Minister has managed a fine balancing act to boost the demand and at the same time not deviate much from the path of fiscal consolidation; no significant compromise on the fiscal deficit front (10bps increase to 3.4% for FY18 and maintaining same at 3.4% for FY20). A major bonanza has been proposed for the small taxpayers / middle class against the backdrop of effectiveness of key tax reforms introduced during the past few years. The slew of tax benefits proposed is aimed at boosting the disposable income of the middle class, salaried class, pensioners and senior citizens. Individual taxpayers with taxable annual income upto Rs 5 lakh shall get a full tax rebate and therefore, will not be required to pay any income tax. As a result, even people having gross income of upto Rs 6.50 lakh per annum may not be required to pay any income tax if they make investments in Equity Linked Savings Scheme (Tax Saving Mutual Funds that offer twin benefits -Tax savings and long term wealth creation), Provident Fund, and Insurance among other things. For the salaried class, standard deduction has been raised to Rs 50,000 from Rs 40,000, exemption has been announced on levy of income tax on notional rent of a second self-occupied house, TDS threshold on Bank / Post office fixed deposits has been increased to Rs 40,000 from Rs 10,000. Amongst other proposals is giving impetus to the real estate sector particularly the affordable housing segment. We expect these tax breaks to go a long way to incline Indians towards financial savings and investments for long term wealth creation. All these measures could also help boost consumption in the economy and benefit consumer-oriented sectors. We believe the equity markets are likely to be volatile in near to medium term. Historically in India election years have witnessed higher equity market volatility as seen in 2004, 2009 and 2014 years. Hence, a prudent investment strategy shall entail investing systematically and accumulating equities gradually. In a market cycle, it is seen that an accumulation phase precedes a bull phase. Investors in past who have invested in accumulation phase tend to benefit through outsized gains in the next phase. For example, during 2010 to 2013, stock markets were largely range-bound and even meandered lower. But, for those investors who patiently stayed invested, the best returns came in the years 2014-17 when stock markets entered a bull phase. We have been very watchful of the US Fed’s stance on interest rates and we believe that the most recent strikingly dovish stance is a clear positive for equities. We believe that a meaningful rally in Indian equities is likely only when the US Fed finally concludes its tightening cycle and such a signal will also indicate the end of the accumulation phase. We recommend investors to continue with their systematic investing into equity assets such as small-caps, mid-caps and value funds. Lump sum investments can be made in balanced advantage funds and equity savings funds. In terms of themes, we are positive on special situation opportunities investing. In debt, we are positive on low duration funds (investing in instruments with maturity in the range of 1-3 years) which can mitigate interest rate volatility and accrual schemes which can capture the current elevated yields, credit risk funds and dynamic duration schemes which can benefit from volatility.